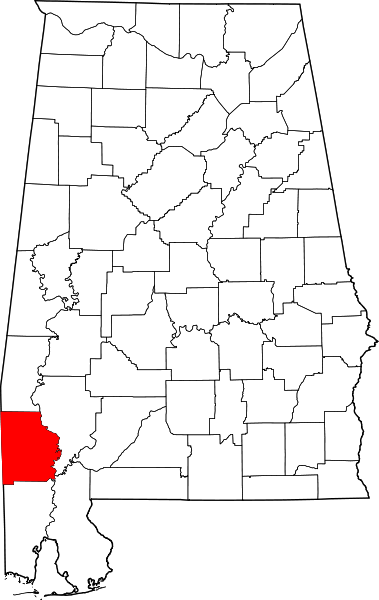 Washington County, Alabama was created June 4, 1800 by proclamation of Governor Winthrop Sargent of the Mississippi Territory. 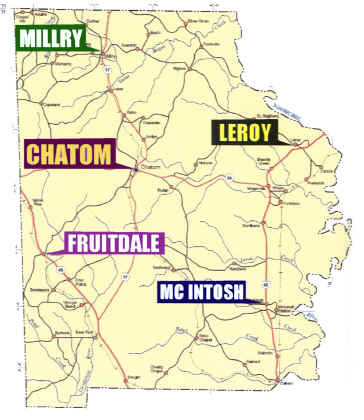 It is the oldest of the counties and embraced all the country between the Chattahoochee and Pearl Rivers. The county was named for President George Washington. 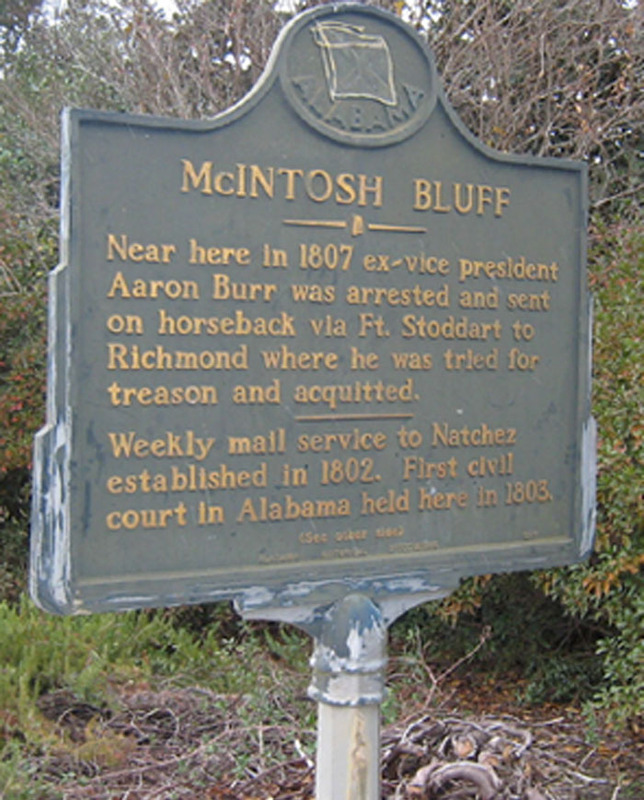 The first civil courts in the county were held at McIntosh’s Bluff, several miles above the junction of the Tombigbee and Alabama rivers in 1803. 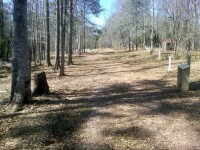 The site was near the American built Fort Stoddert on the Tombigbee River, about two miles east of the town of McIntosh. Today only a few foundation blocks remain on the site. 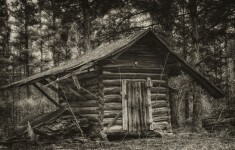 The first settlement within the area now known as Washington County was made at Old St. Stephens. The courthouse was next moved to Wakefield. 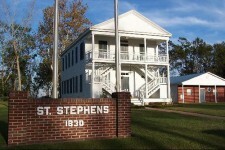 “The town of “new” St. Stephens, approximately three miles south of the original St. Stephens town site, was selected in 1848 as the seat of government. 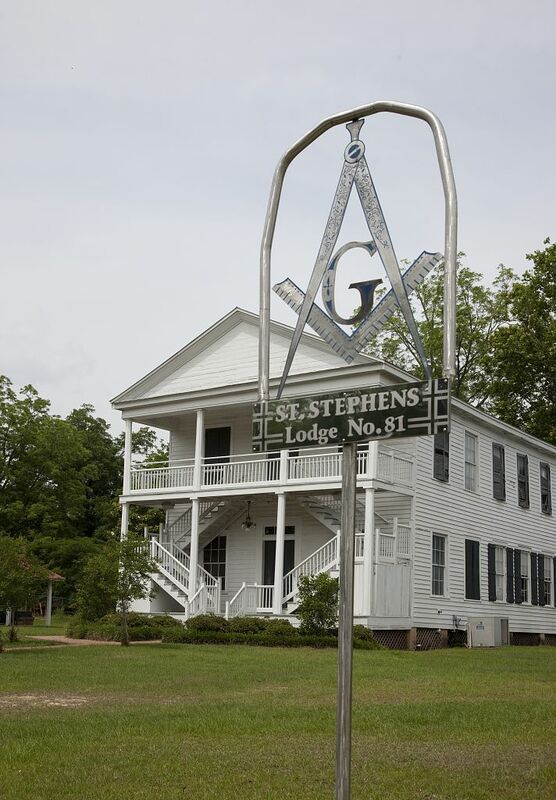 The St. Stephens Masonic Lodge No. 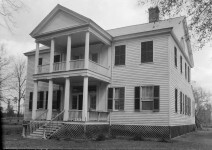 81 (pictured below) was built by the Washington County Commission as the Courthouse in 1853 and was used by the county for 59 years, until Chatom was made the county seat in 1907. 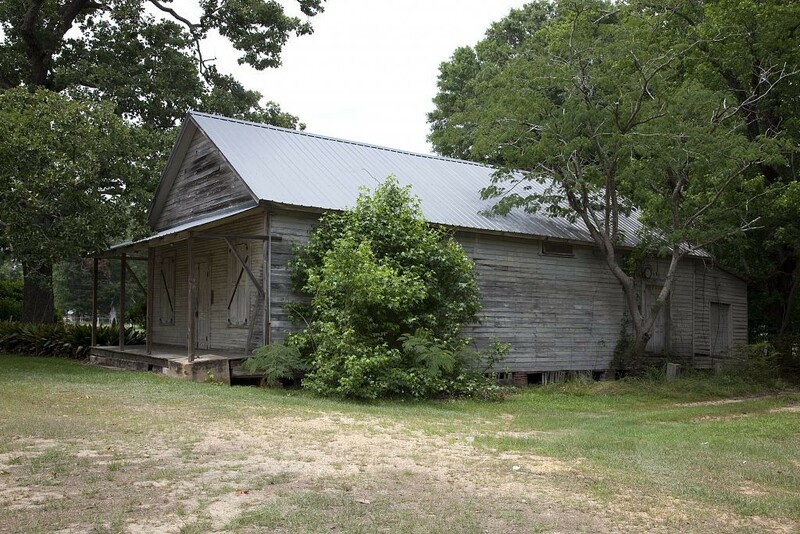 The building was donated to the Historical Society by the Masonic Lodge and has been restored and now serves as the St. Stephens Historical museum and visitors center. The Native Americans found by the French in Washington County resided on the west bank of the Tombigbee and were called the Tohomees and the Nanihabas. The Tohomee village was about two miles below the mouth of Bassett’s Creek, and as Mclntosh’s Bluff was certainly in their territory their habitat in all probability extended from Bassett’s Creek on the north to Bates’ Creek on the south. Immediately below the Tohomees were the Nanihabas, who also claimed the land opposite them in the fork of the Alabama and the Tombigbee, whence they were often called by the French “Les gens de la Fourche,” the People of the Fork. Nanihaba means “hill above,” and the name is still preserved in Nanahubba Bluff. Below the Nanihaba in Mobile County and along Mobile River and its islands were the Mobiliens. These three tribes were a Choctaw-speaking people and formed a kind of confederacy, meeting every fall in a common council or congress. They were thrifty agricultural people and on more than one occasion the French, Biloxi, and Mobile procured from them’ supplies of corn. The Tohomees were eventually absorbed into the Nanihabas. The consolidated tribe and the Mobiliens kept up their tribal organization until the coming of the English at which time they were practically absorbed into the bulk of the Choctaw people, as can be seen by the land cession of March 28, 1765. 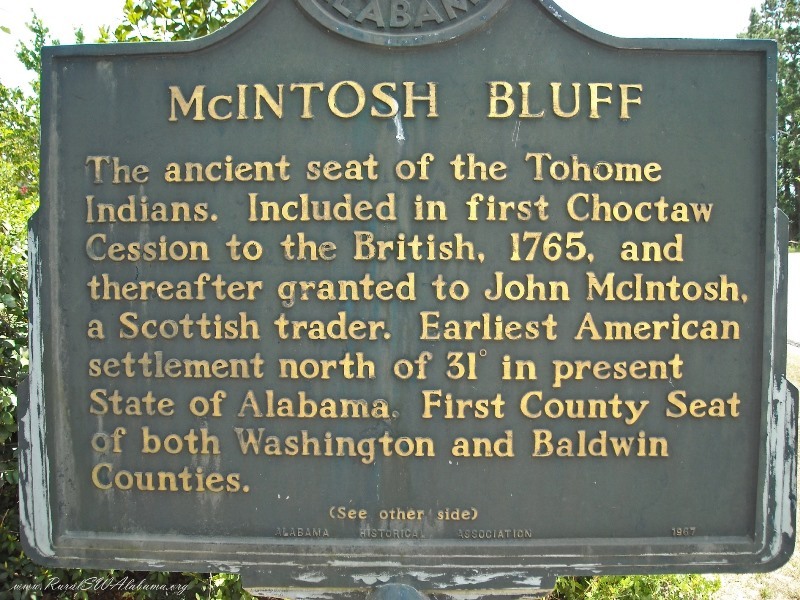 By the Choctaw cession of April 28, 1765, to Great Britain, all of what was Washington County south of the Choctaw boundary line, which ran from Hatchatipki Bluff on the Tombigbee to Buckatunna River, became an English possession. This treaty was confirmed to the United States by the treaty of Fort Confederation, October 2, 1802, when the old Choctaw boundary was marked. The part of the county north of the Choctaw boundary line was acquired by the treaty of Mount Dexter, November 16, 1805. On February 19, 1807, about five miles west of Mclntosh’s Bluff, Capt. Edmund P. Gaines, commandant of Fort Stoddert and a file of soldiers met and arrested Col. Aaron Burr, ex-vice president of the United States. He was kept in honorable captivity at the fort for over two weeks then sent to Richmond, Virginia where he was tried and acquitted of treason against the United States. “During the Civil War, Washington County furnished a Confederate infantry company, known as Wilson’s Guards, in honor of L J. Wilson, who sponsored the company and presented its officers with engraved swords. The company was recruited in St. Stephens in December 1861 and January-February 1862 and mustered at the Washington County Court House. 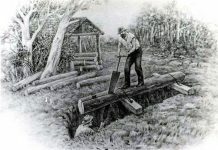 It fought as Company A of the 32nd Alabama Infantry Regiment, organized in Mobile in April 1862 and later consolidated with the 58th Alabama.”5Lumbering and the turpentine industry ranked for some time as the leading industries of Washington County, Alabama. There is an abundance of fine limestone near St. Stephens. Today, there are various artifacts and historical papers housed in the museum in the basement of the county courthouse in Chatom. 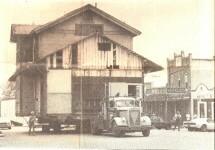 The Washington County Museum preserves the history of the county with many collections. The showpiece is a 750-year-old Native canoe that was discovered on the Tombigbee in 1973. 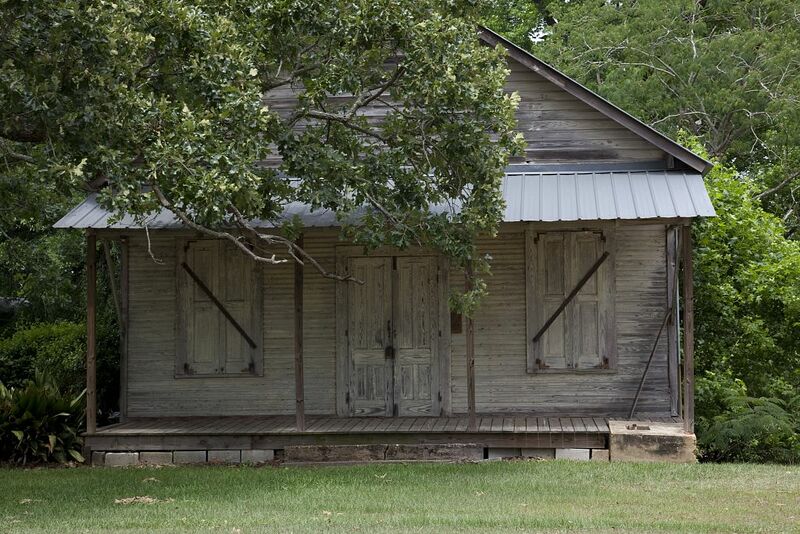 Other exhibits include antique cooking utensils, vintage clothing, military memorabilia, and equipment used in the timber and turpentine industries. Post Offices and Towns – Revised to July 1, 1919, from U. S. Official Postal Guide. Numbers indicate the number of rural routes from that office. 1915—T. J. Hollis. 1919—T. J. Bedsole. 1820-1—James Taggert; B. H. Smoot. 1821 (called)—James Taggert; B. H, Smoot. 1861 (2d called)—James B. Slade. 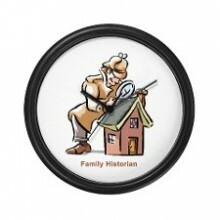 MONDAY MUSINGS: Why did my ancestor constantly move? As a “born and raised” Washington Countian, thanks for this article. 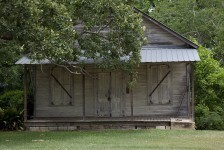 State maybe but Childersburg in Talladega county is by far the oldest City in Alabama! 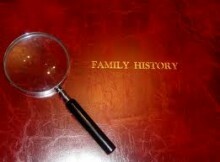 I’m interested in knowing more about the Black history of Washington County. How did we get there? Did slave ships enter the Mobile Bay Area? Or travel the Tombigbee River? Were we walked in coffles from Virginia, the Carolinas & Georgia?